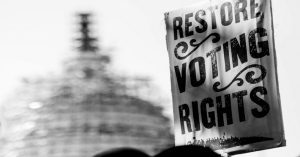 Civil Rights and Voter Suppression in the U.S. The rights of those whose citizenship is contested will not be guaranteed by appeals to loyalty and patriotism, but by social movements that are not bound by the state. 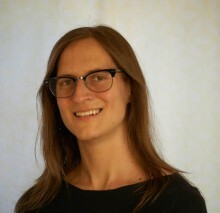 Grinter names voter suppression as one component of the state’s wide-ranging efforts to prevent people of colour from claiming their rights as citizens. Those efforts, in turn, stem from the state’s fear that people of colour would ‘step out of line’, rejecting the authority of a system that relegates them to second-class status. With this in mind, Grinter’s assessment would not have been out of place in 1963, when Hartman Turnbow, the first African-American to register to vote in Mississippi, was arrested after his house was firebombed by members of the Ku Klux Klan. The attempt by African-Americans to secure suffrage, and to lay claim to full citizenship, is a crucial component of the long civil rights movement. In turn, the recent acceleration of voter suppression – fuelled by public fear, sanctioned by the judiciary, and supported by policing – is the latest manifestation of a centuries-long, distinctly American ideology of white supremacy. The right to vote has been bound up with claiming full citizenship since 1870, when the Fifteenth Amendment extended the whites-only franchise to black men. This was the capstone of the three Reconstruction-era Amendments, which also abolished slavery and granted US citizenship to formerly enslaved men and women. The franchise transformed citizenship from an abstract status into a substantive claim to rights. During the Reconstruction years, the ballot box proved an effective tool for promoting the rights of African-Americans: black communities established branches of the Union League to organise voter registration drives, debate their most pressing issues, and to nominate candidates for elected office. Black women, officially barred from the franchise, organised through the Woman’s Club movement, which mobilised for local social and political reforms and supported candidates for national office. Within four years of the Fifteenth Amendment’s ratification, fourteen black men were elected to the House of Representatives, and two to the Senate. The effectiveness of the franchise, in turn, threatened white hegemony, and has led white supremacists to target black political power ever since. The end of federal support for Reconstruction in 1877 ushered in the Jim Crow era, wherein southern states waged a relentless campaign of racial terror against empowered black citizens. From the outset, disenfranchising black citizens was a priority: the Black Codes enforced severe penalties for minor ‘crimes’, such as vagrancy, and permanently barred convicted felons from the vote. As these tactics spread, those who imposed them became increasingly brazen about their purpose: in 1884, the Alabama Supreme Court upheld felon disenfranchisement as an effective means to “preserve the purity of the ballot box”. With the entrenchment of segregation in the late nineteenth century, felon disenfranchisement, combined with poll taxes, literacy tests, and grandfather clauses, effectively disenfranchised virtually all African-Americans in Southern states. The absence of black political power enabled political candidates to exploit white fear for votes, and freed state and local governments to extract resources from black communities without political ramifications. Voter suppression proved an effective tool for entrenching the white supremacist racial order. Consequently, the Civil Rights Movement that began anew in the 1950s increasingly honed in on the franchise as the greatest hope for black empowerment. Many of the movement’s most notorious events – the 1964 murder of three Freedom Riders near Philadelphia, Mississippi, and the brutal 1965 police attack on peaceful marchers near Selma, Alabama – were clashes between black citizens attempting to claim the franchise and white supremacists maintaining the racial order. 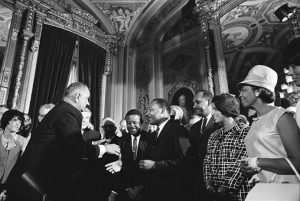 In 1965, Congress passed the Voting Rights Act, hailed as the single most important legislative achievement of the Civil Rights Movement. Echoing the Reconstruction-era approach, nine states and numerous counties and municipalities with a longstanding history of voter suppression would be required to submit any changes to their election laws to the federal government for preclearance. The effects were immediate and wide-reaching: whereas only seven percent of eligible African-Americans in Mississippi were registered to vote in 1964, the number had jumped to sixty-seven percent by 1969. Ostensibly colourblind policies, including laws that would require citizens to present state-issued photo identification before voting, were blocked because they would disproportionately prevent African-Americans from voting. Congress amended and reauthorized the VRA in 1970, 1975, 1982, 1992, and 2006 with decisive, bipartisan majorities. Yet white supremacy could not simply be legislated away. White southerners resented federal intervention in local election laws, claiming that they were being targeted unfairly for policies that had been revoked a half century earlier. A succession of southern municipalities unsuccessfully challenged the VRA in court. In the early twenty-first century, the drumbeat of voter suppression grew louder. 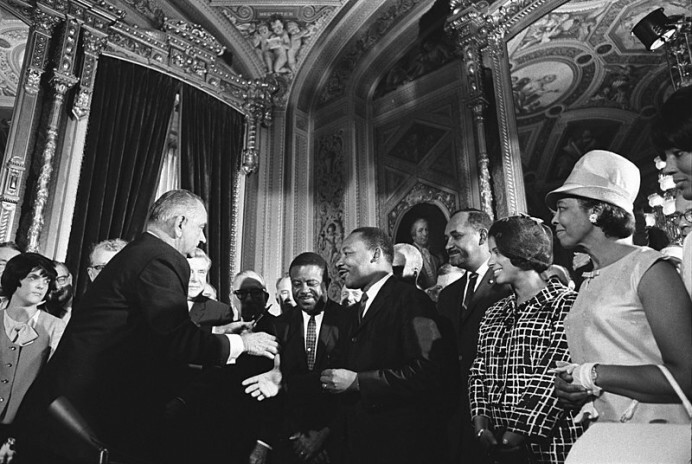 Martin Luther King, Jr. and other Civil Rights leaders meet Lyndon B. Johnson at the signing of the Voting Rights Act in 1965. In April 2010, Shelby County in Alabama filed suit in district court, claiming that Section 5 of the VRA – which established the federal preclearance requirement – was unconstitutional. The district court of Washington, DC ruled against Shelby County in September 2011, and the county appealed. In May 2012, the Court of Appeals in Washington, DC upheld the lower court’s decision. Shelby County then appealed to the U.S. Supreme Court, which agreed to take the case in November 2012. The case was closely watched by civil rights advocates, as well as states and municipalities in South Carolina, Georgia, and Texas that had attempted unsuccessfully to challenge the VRA in the past. On 25 June 2013, the Supreme Court issued a 5-4 ruling on Shelby County v. Holder in favour of the plaintiff. Section 4(b) of the VRA, which had established the formula for federal preclearance, was deemed unconstitutional. Although the court upheld Section 5, which established preclearance as a requirement, the latter section was rendered meaningless without naming which municipalities were covered. The majority ruling, delivered by Chief Justice John Roberts, trumpeted the nation’s progress since the Civil Rights Movement: “Our country has changed. While any racial discrimination in voting is too much, Congress must ensure that the legislation it passes to remedy that problem speaks to current conditions.” Justice Ruth Bader Ginsburg, dissenting, affirmed Roberts’ statement that racist voter suppression had been rampant when the law was passed in 1965. She disagreed vehemently, however, with Roberts’ celebration of racial progress, stating that “throwing out preclearance when it has worked and is continuing to work to stop discriminatory changes is like throwing away your umbrella in a rainstorm because you are not getting wet.” For Ginsburg, the state could not be neutral in matters of race. In a white supremacist society, failing to actively support black political power was equivalent to endorsing voter suppression. In the wake of the Supreme Court’s ruling, Congressman John Lewis, a veteran of the Student Nonviolent Coordinating Committee, decried the majority’s failure to learn from a century of social movements and repression. The tremendous gains of the Reconstruction era, he noted, had been reversed in only a few years. The Supreme Court now risked repeating history by reversing the gains of the Civil Rights movement. Indeed, the reaction to Shelby County v. Holder was immediate: the state of Texas announced that its voter ID requirement, which had been blocked as discriminatory, would go into effect before the next election. North Carolina, likewise, introduced a range of new measures, including a voter ID requirement, a shortened early voting period, a requirement that voters only cast their ballot in their assigned precinct, and the elimination of same-day registration and voting – eliminating measures that had increased voter turnout among African-Americans. The state of Alabama likewise introduced a voter ID requirement – and then shuttered offices in predominantly black counties where voters could obtain the required ID cards. By Election Day 2016, there were 868 fewer poll places available to voters than there had been three years earlier. Felon disenfranchisement, which waned in the 1960s and ‘70s, has also resurged in recent years. While laws vary from state to state, only two states currently allow prisoners to vote. Three disenfranchise convicted felons for life. Most others ban prisoners and parolees from voting. In Texas, Crystal Mason was disenfranchised because she remained on probation after serving her prison sentence. Like the poll taxes and literacy tests that preceded them, laws that disenfranchise convicted felons are colourblind in their wording, but deeply racialised in their enforcement: in Alabama, felon disenfranchisement affects fifteen percent of the voting-age black public, compared to less than five percent of the voting-age white public. Even more dramatically, in Florida, the lifetime ban on voting as a convicted felon has disenfranchised twenty percent of voting-age African-Americans. 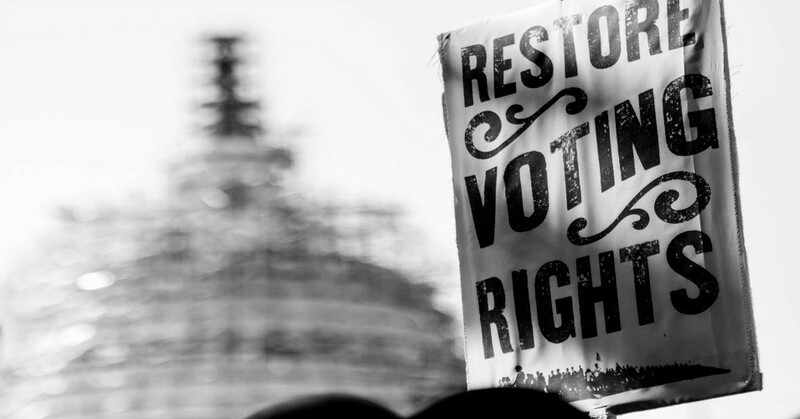 Nearly one hundred fifty years after the ratification of the Fifteenth Amendment, felon disenfranchisement has proven an effective tool to suppress black political power. The right to vote is, understandably, framed by opponents of voter suppression as an essential right of free citizens. Advocates have often taken this further, claiming that voting is the patriotic duty of citizens, and that protecting access to the ballot box enables African-Americans to fulfil this obligation. Indeed, this was how Crystal Mason explained her decision to vote: Mason’s mother had persuaded her that it was her responsibility as a US citizen – and a black woman – to vote in the 2016 presidential election. Other advocates have emphasized that many of the people barred from voting because of a felony conviction are military veterans whose patriotism extends to a willingness to ‘die for their country’. According to these arguments, black voters have proven their loyalty to the state, and protecting black citizens’ right to vote strengthens the state. Yet voter suppression is often framed in strikingly similar terms: supporters proclaim the importance of democracy, their desire to increase voter turnout, and the franchise as the inalienable right of patriotic citizens. This was evident when lawmakers in North Carolina proposed a new voter ID law in June 2018: House Speaker Tim Moore explained, using terms that few would disagree with, that “protecting our democracy should be one of lawmakers’ highest priorities.” It was voter fraud – not voter suppression – that posed the greater threat to democracy. Similarly, state representative David Lewis explained that the voter ID law would “ensure everyone who is eligible to vote is able to cast a secure ballot. We want extraordinary voter turnout.” Increasingly, the federal government is invoking the same arguments as state and local officials: after claiming that “millions of people” had “voted illegally” in the 2016 election, Donald Trump established a Presidential Advisory Commission on Election Integrity. The Commission was dissolved six months later, after widespread backlash. Yet Trump has continued to claim that “illegal voting” is particularly rampant in states with large populations of (implicitly non-white) undocumented migrants – thereby associating voter suppression with militarised border control, and implying that both are essential to the integrity of democracy. Both supporters and opponents of voter suppression appeal to the state in support of their arguments. Indeed, the history of the franchise demonstrates that when the state actively protects the franchise for black voters, this has immediate and wide-reaching ramifications for black political and social power. Some recent developments are encouraging: a federal appeals court, for example, blocked North Carolina’s voter ID law as deliberately discriminatory towards African-Americans (though voters may instate a new ID law in a November referendum). Yet the state has enforced white supremacy for far longer than it has promoted racial equality: from 1790, when the Naturalisation Act offered the possibility of citizenship to all “free white persons”, until the passage of the Reconstruction Amendments eighty years later, African-Americans were actively excluded from US citizenship. The subsequent gains of African-Americans during the Reconstruction era were forcefully overturned only a few years later, to be followed by nearly a century of Jim Crow. Fifty years after the passage of the VRA, the Trump administration, with the acquiescence of the Supreme Court, seems intent on mobilising the state anew to suppress black political power and entrench white supremacy. As midterm elections approach, charges of voter suppression are proliferating: in Georgia, the campaign of Stacey Abrams (who, if elected, would be the first black woman governor of any state) charges that her opponent, Brian Kemp (who also happens to be overseeing the election as Secretary of State) has disenfranchised 50,000 black voters. In Ohio, up to 2.2 million voters may have been purged from rolls because they failed to vote in the two previous elections and respond to a postcard – a law that the Supreme Court upheld in June. And in Florida, Governor Rick Scott (who is running for Senate in November) has slowed to a trickle the process of restoring voting rights to convicted felons. The long view of US history suggests that the state has, at best, an ambivalent record on civil rights. In the present political moment, the state is more likely to suppress than uphold hard-fought social and political rights for African-Americans. Consequently, the future of the civil rights movement must look beyond the vote, which is bound up with, and dependent upon, the state. Doing so will draw from a long tradition of resistance. For Zinn, democracy transcends, and often defies, the state. It also defies borders: the long civil rights movement is indebted to Gandhian nonviolence, anti-colonial resistance, and ‘coloured solidarity’ – and, more recently, the global reach of the Movement for Black Lives. The social and political rights of those whose citizenship is contested will not be guaranteed by appeals to loyalty and patriotism, but by social movements that are not bound by the state.